To most people in developed countries, malaria seems like a relic of the past. After all, the transmission of the disease was eliminated in the U.S. nearly 70 years ago. However, the deadly, mosquito-borne disease is still a global scourge. Nearly half of the world’s population — more than 3 billion people — is at risk of contracting malaria. Each year, there are around 200 million cases, and about half a million people die. Children younger than 5 accounted for 61 percent of malaria deaths in 2017. They are most likely to catch the disease and to die. 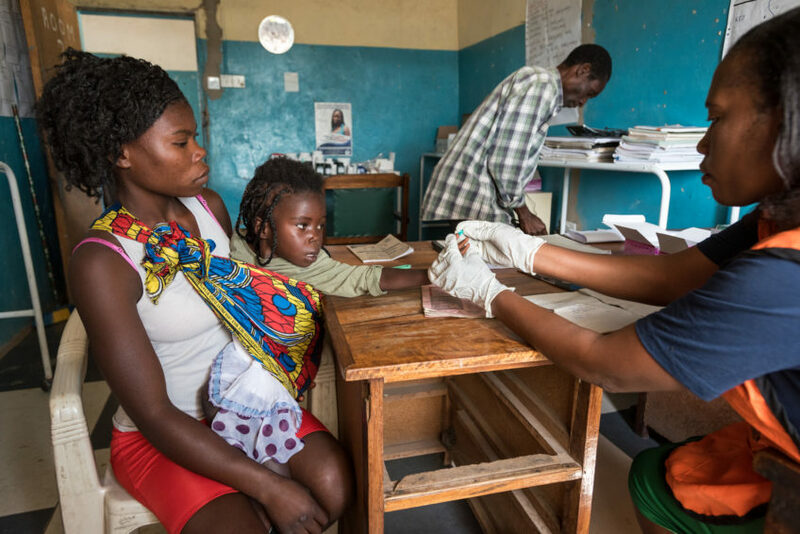 Now that people know how to prevent, diagnose, and cure malaria, progress is being made against the disease. 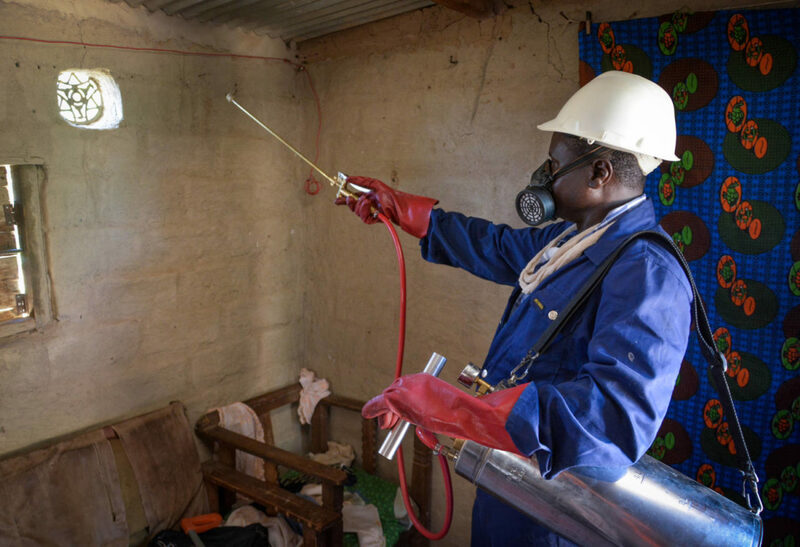 Effective insecticide-treated bed nets, spraying insecticides, antimalarial medications, and quick diagnoses and treatments make a big difference. Globally, malaria mortality rates have dropped by 60 percent since 2000. World Malaria Day is observed each year on April 25. It serves as a reminder of the worldwide effort required to end the spread of this killer disease. Malaria disproportionately affects the poor, who often live in substandard housing near mosquito breeding grounds and lack access to health services. 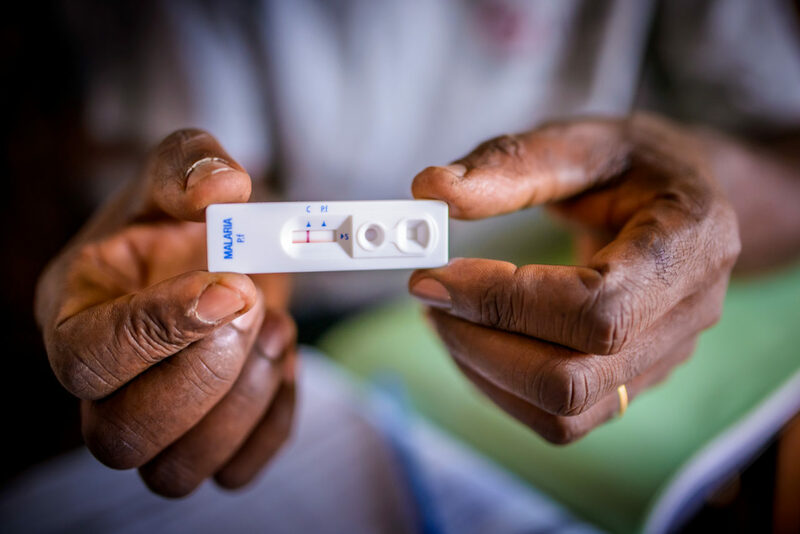 Children younger than 5 years old, pregnant women, and people living with HIV and AIDS are more susceptible to malaria because of compromised or immature immune systems. 1880s to 1890s — The parasite that causes malaria is identified and traced to mosquito transmission. Early 1900s — Spraying insecticides proves effective in reducing the incidence of malaria and yellow fever during construction of the Panama Canal and the U.S. occupation of Cuba. 1930s to 1950s — Federal spraying programs associated with the Public Health Service and Communicable Disease Center, later called the Centers for Disease Control (CDC), eliminate malaria transmission in the U.S.
1955 to 1970s — Attempts to eliminate malaria in other countries have more or less success depending on local conditions, the strength of the national health system, conditions of climate and development, and the capacity for carrying out controls. 2002 — The Global Fund invests about $4 billion annually to fight malaria, AIDS, and tuberculosis in locations of greatest need. 2006 — U.S. President George W. Bush’s malaria initiative commits $1.2 billion to fight the disease in 15 countries. 2015 — A landmark 1 billion bed nets have been distributed in Africa since 2000. The global incidence of malaria has been reduced by 37 percent and death rates by 60 percent since 2000, achieving Millennium Development Goal targets. 2016 — Global efforts are reported to have saved 6.8 million lives and prevented 1 billion cases since 2000. 2017 — The U.S. malaria initiative expands to 24 countries and more than 90 million people in West and Central Africa. Present to 2030 — Global malaria strategy and targets by the World Health Organization aim for a 90 percent case reduction by 2030. About 219 million cases of malaria were reported in 2017, 2 million more than in 2016. Ninety-two percent of malaria cases and 93 percent of malaria deaths occurred in Africa. 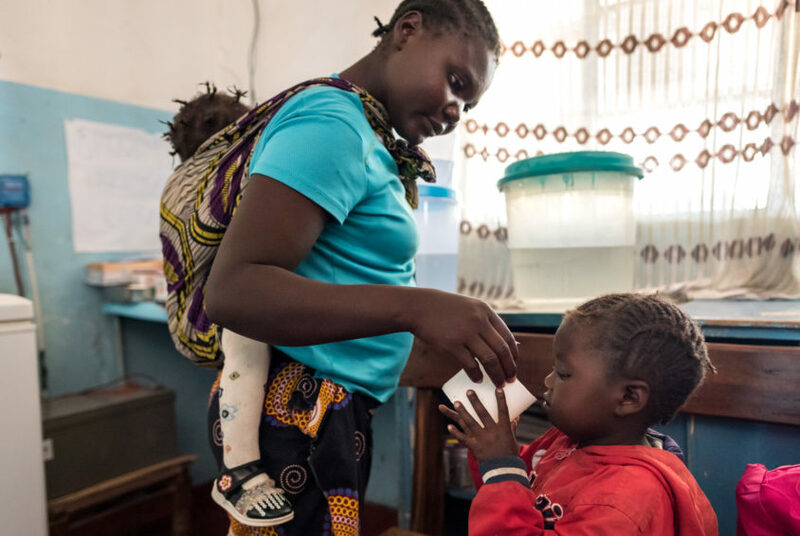 Explore frequently asked questions about malaria, and learn how you can help children and families at risk. Why is malaria especially dangerous for infants and young children? What can be done to prevent malaria? How can I help people at risk of malaria? What is World Vision doing to combat malaria? Malaria is a serious, sometimes deadly, blood disease caused by the Plasmodium parasite. It is transmitted to a person through the bite of an infected female Anopheles mosquito. The mosquito must have acquired the parasite by previously biting a person who carries the parasite in their blood. The parasites multiply in the infected person’s liver before ultimately infecting and destroying red blood cells. People with malaria typically have high fevers, flu-like symptoms, and chills; they may also have a headache and be vomiting. Symptoms usually appear between 10 and 15 days after the bite of an infected mosquito. If not treated, malaria can quickly become life-threatening by disrupting the blood supply to vital organs. 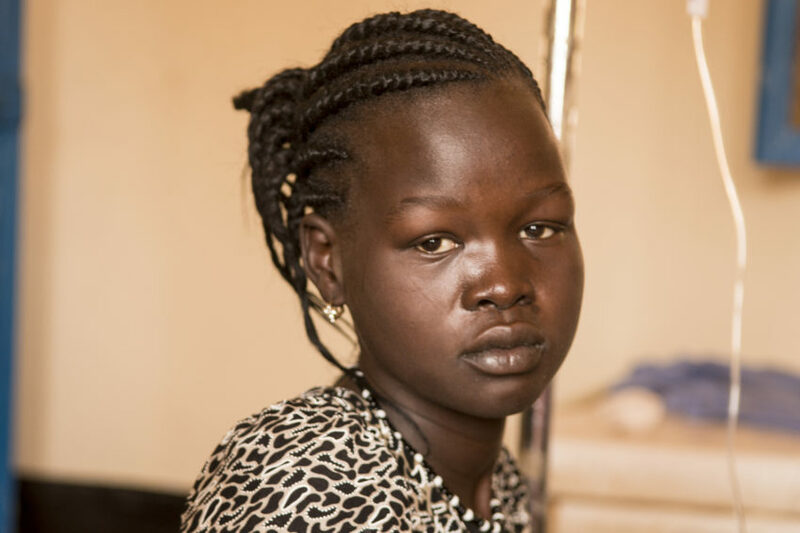 Pregnant women are at higher risk of dying from complications of severe malaria. Some of the signs of a severe case include very pale skin, indicating anemia; severe vomiting; and convulsions. Severe malaria is more common in children. During pregnancy, an infection in the mother can cause low birth weight and result in infant death. In areas where malaria is common, the newborn will get some immunity from its mother at birth. However, this is almost gone by the time the infant reaches three months of age. Children younger than 5 are among the most vulnerable to malaria. Where the disease is very common, people become partly immune during childhood. In these places, the majority of the malaria illnesses — and the majority of the serious cases that lead to death — occur in young children before they have developed immunity. 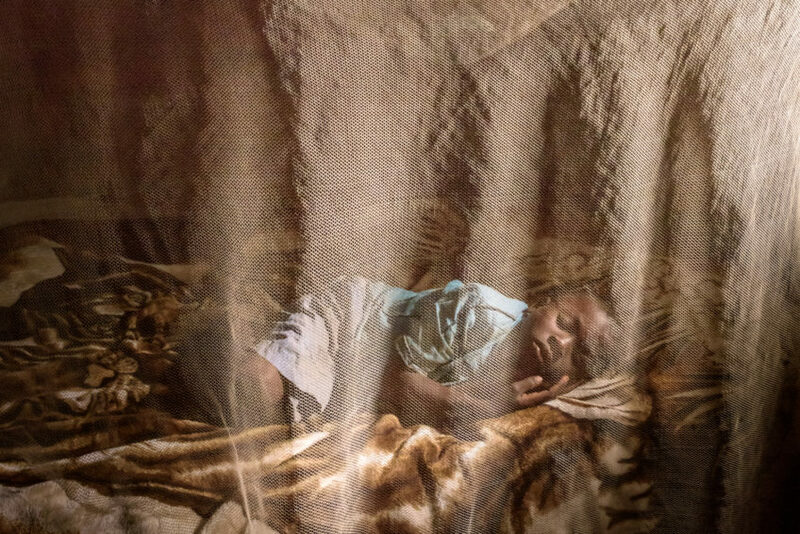 Children with malaria are also more likely to be anemic — lacking enough healthy red blood cells to carry oxygen to tissues throughout their bodies. Left untreated, anemia can result in death. Drug trials are underway for malaria vaccines, but there is not currently a vaccine. The parasite that causes malaria has a very complicated life cycle, and it has so far not been possible to make an effective vaccine against it. However, there are antimalarial drugs that kill the parasites when they enter the liver or red blood cells. 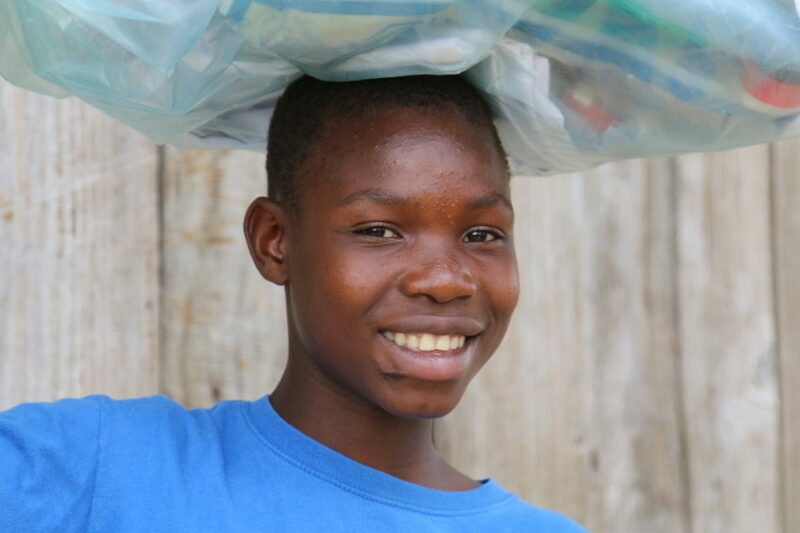 Along with insecticide-treated mosquito nets, and other preventives, they can help to protect against malaria. 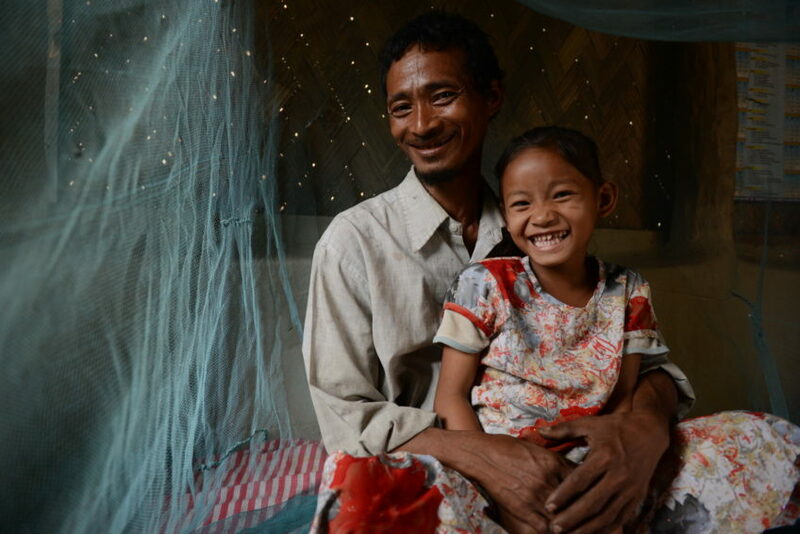 World Vision has made the fight against malaria a top priority because we refuse to accept its impact on the poorest children — especially when simple, life-saving measures are at hand. Please join us in our efforts to prevent this deadly disease. And please pray for the children and families suffering from its effects. Pray: Holy Spirit, we see Your hand in the work to end malaria. Lift the spirits of all individuals who devote themselves to this effort, and help their work to achieve even greater results. Be with those who are ill, and help them make a full recovery. Give: Help provide life-saving interventions like insecticide-treated bed nets, medical care, prevention education, and more. Contact Congress and urge them to continue to support the Global Fund, which is up for replenishment in 2019. 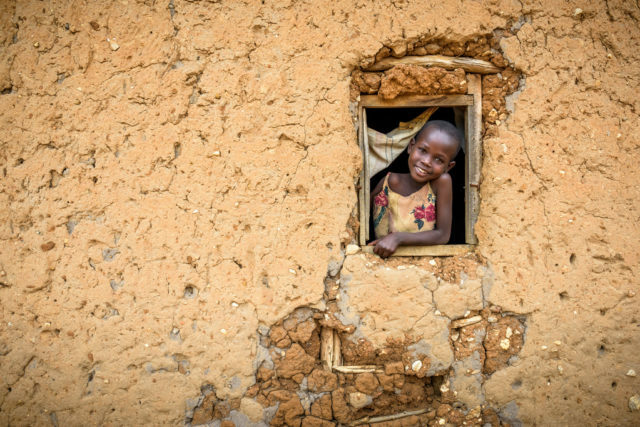 Sponsor a child: World Vision’s sponsorship program helps whole communities fight malaria with effective prevention and treatment, especially for vulnerable mothers and children. 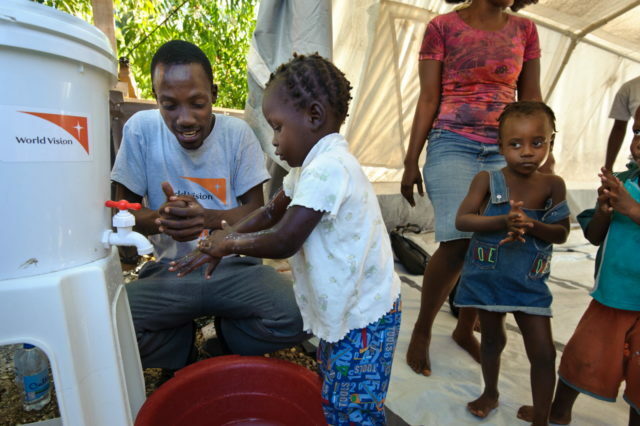 World Vision operates in nearly 100 countries, 51 of which have ongoing malaria transmission. As a child-focused organization, World Vision has many years of experience implementing malaria interventions at the community level, mainly in sub-Saharan Africa, including the distribution of long-lasting insecticidal bed nets. 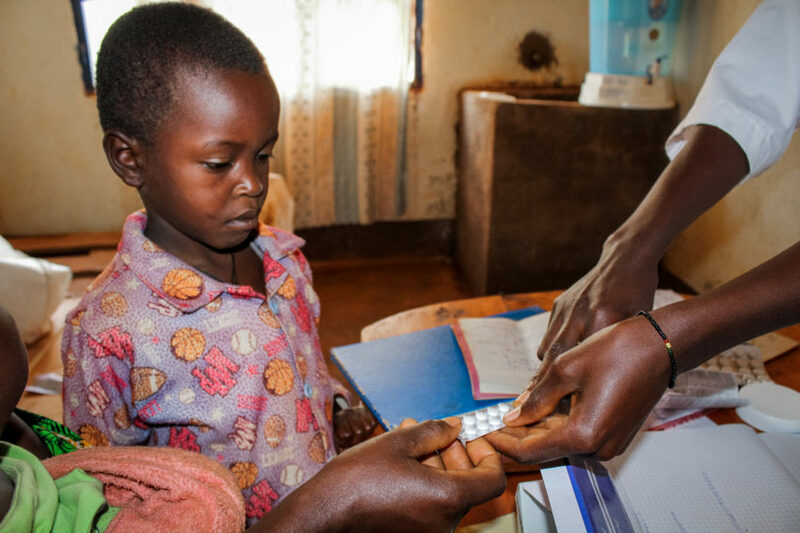 World Vision has partnered with the Global Fund since 2004, bringing prevention and treatment for HIV and AIDS, malaria, and tuberculosis. In 2018, World Vision was awarded $121 million in grant funding from the Global Fund to fight malaria in Malawi, Mozambique, Central African Republic, Thailand, Kenya, and Angola. Vincent Kakooza, 39, a village health worker in Uganda, uses a rapid diagnosis test provided by World Vision. You can help prevent malaria, one of the deadliest diseases to strike children around the world.